If you have lived in Texas for any amount of time, you’ve experienced a tornado watch, and maybe even a tornado warning. The TV program you were watching is interrupted with dire weather maps, the radio DJ advises folks out in their cars to take shelter, the whole family huddles up in the bathtub—it’s all a little scary, especially when the sirens start to go off. And if you think your town is immune to tornados—as Huaco Native American legend said about Waco—well, an actual F5 storm striking your town is downright terrifying. Some structures were flattened, some remained standing. Their fates were determined both by structural supports and the tornado's whim. 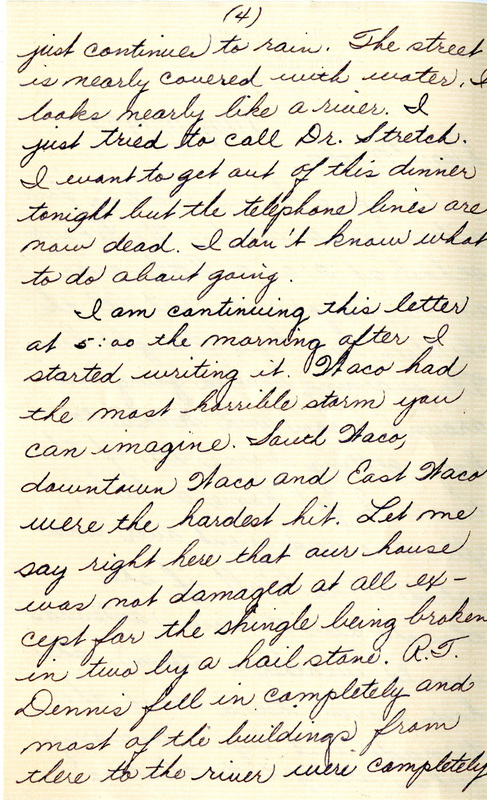 Harry Gillett's letter to his mother gives us insight into the before and after of the 1953 Waco tornado. The Waco tornado is tied with the 1902 Goliad tornado as the deadliest in Texas history, and is one of the most deadly in US history. 114 people were killed, and property damage was in excess of $50 million—with inflation, that would be about $400 million today. The Waco tornado helped incite the development of a nationwide severe weather warning system. 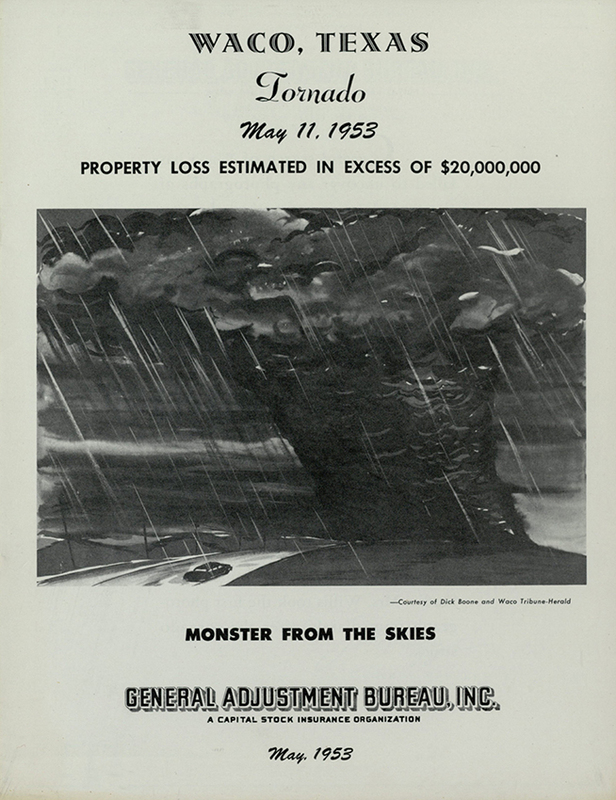 On this week of the 59th year since the tornado, we remember those who were lost. You can read the complete letter at The Texas Collection in the Harry Gillett papers. 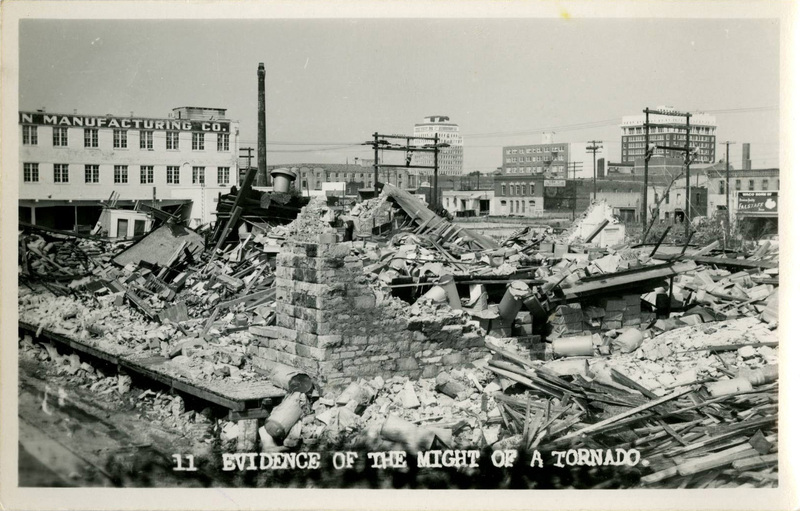 Gillett also saved a few postcards depicting the 1953 tornado’s impact, which we’ve featured in the slide show below. If you’re interested in reading, watching, or listening to more accounts of the storm, check out Waco Tornado 1953: Force that Changed the Face of Waco (an oral history project by the Waco-McLennan County Library and the Baylor Institute for Oral History), “Living Stories: Radio and the 1953 Waco Tornado,” a collaboration of the Institute for Oral History and KWBU-FM, and the “Waco Tornado: Tragedy and Triumph” video at the Texas Archive of the Moving Image. The Portal to Texas History and Waco Tribune-Herald also have compelling images and contemporary news coverage of the storm.